Narawntapu (formerly known as "Asbestos Range") is a national park in Tasmania, Australia. It lies on Tasmania's north coast, adjoining Bass Strait. Follow the roaring Sorell and Tamar Rivers north to the Bass Strait, and you'll find the peaceful Narawntapu National Park. Consisting mostly of inlets, wetlands, sand dunes, lagoons and tiny islands, Narawntapu National Park contains a jaw-dropping number of coastal animals and plants. The boundaries of the park are marked by the Tamar River and Greens Beach to the east and the Sorell River and Baker's Beach to the west. And while this National Park is marked by the confluence of freshwater rivers colliding with the saltwater of the Bass Strait, there are still plenty of land creatures to marvel at. At dusk, you'll be able to see kangaroos, wallabies and wombats grazing on the park's grasslands. And you'll be able to hear the screeches, growls and grunts of the world-famous Tasmanian Devil. The drive to Narawntapu National Park from Devonport is rather beautiful. It will take you by rolling hills, through lush farmlands and over roaring rivers. 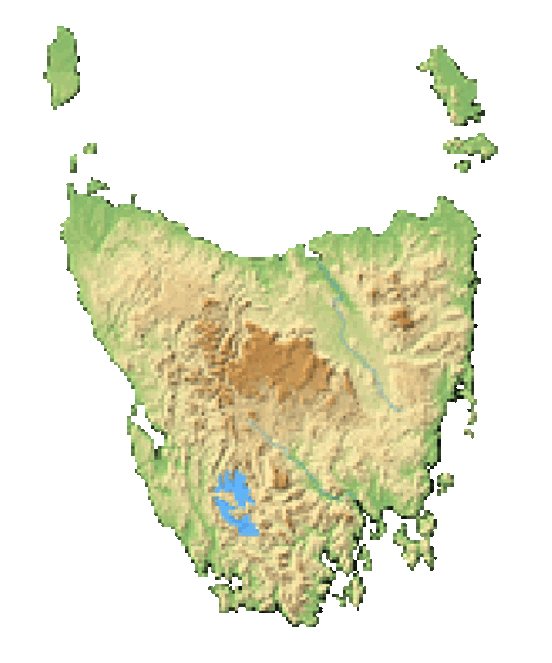 Tasmania's north coast city is 42 kilometers to the west and the drive takes about 40 minutes. Narawntapu National Park is 44 km². Head to the visitor's center in Springlawn where you'll find informational displays, toilet facilities, picnic facilities and park rangers. Pick up a pamphlet to familiarize yourself with the park before exploring the coastal heathlands, dry woodlands, herb land, grasslands and salt marshes. 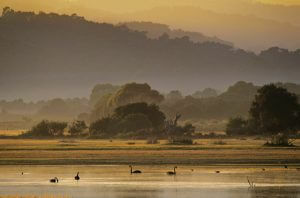 Narawntapu National Park is colloquially known as the Tasmanian Serengeti. It is one of the best places in the world to view wildlife in its natural habitat. And with its proximity to robust northern towns such as Devonport and Port Sorell, this park is popular among tourists. Plan your visit well ahead of time. Horse riding is a popular activity in the park. The 26-kilometer horse riding trail work requires a permit and bookings must be made at least 48 hours in advance. In fact, horse riding is so popular in the park that there are Horse Yards for overnight coaching. Swimming can be done at Bakers and Badger Beaches. Swimmers should be aware of the Rocky coastlines at Griffiths Point and the Port Sorell estuary. Rocky coastlines are especially dangerous when the tide is going out. Boating and fishing are popular activities in the park. Springlawn Beach is reserved for boats entering and exiting the water. There is a boat ramp at Bakers Point where no swimming is allowed either. Line fishing can be done at Bakers and Badger Beaches where you'll have to be aware of swimmers in the water. Rangers lead walks, talks and other educational activities throughout the year. It's a great way to learn about the vast array of wildlife in the park while staying safe and getting a little bit of exercise. The Narawntapu National Park has a few different geographical areas. The 400-meter Mount Asbestos towers over the park inland, and at its feet, you'll experience swaths of grassland. 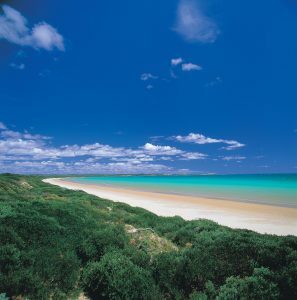 The grassland eventually gives way to inlets, headlands, wetlands, dunes and lagoons until finally ending on soft sandy beaches at the Bass Strait. The grasslands are where you want to be at dusk. Dubbed the Serengeti of Tasmania, this area is one of the best places in all of Australia to view wildlife. 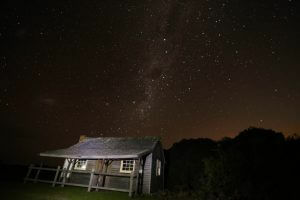 Here you'll find kangaroos, Bennett's Wallabies, Tasmanian Devils, Quolls, Tasmanian Pademelons, Echidnas and platypus. The grasslands of this park come to life at dusk every day. It has a high density of marsupials including grey kangaroos, Bennett's Wallabies, Wombats, Tasmanian Devils, Quolls and Pademelons. Closer to the shore you'll find platypus living in the inlets and rivers. And you'll have to watch where you step because Echidna is common in this area. There are plenty of threatened species of birds living in Narawntapu National Park. 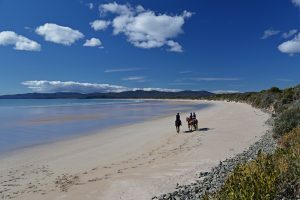 Bird lovers flocked to the area to experience the Hooded Plover, Tasmanian Wedge-tailed Eagle and Swift Parrot. Birds enjoy the northeast of the park which serves as a foraging area and makes up part of the Rubicon Estuary Important Bird Area. That's where you'll spot migratory waders and pied oystercatchers. There is quite a nice visitor center within the park. That's where you'll find picnic and toilet facilities, informational displays, a small souvenir shop and a public use payphone. You can also find picnic tables at Bakers Point and Badger Head. Toilet facilities are available at Bakers Point and Griffiths Point. This Park was once known as the Asbestos Range National Park. Minerals such as asbestos were mined from the mountains just beyond the park. The park was founded in 1976, but in 2000 the name was changed to Narawntapu National Park. The name was changed because the government feared the word asbestos would serve as a deterrent to tourists. The word Narawntapu is Aboriginal for the coastal lands between West Head and Badger Head.